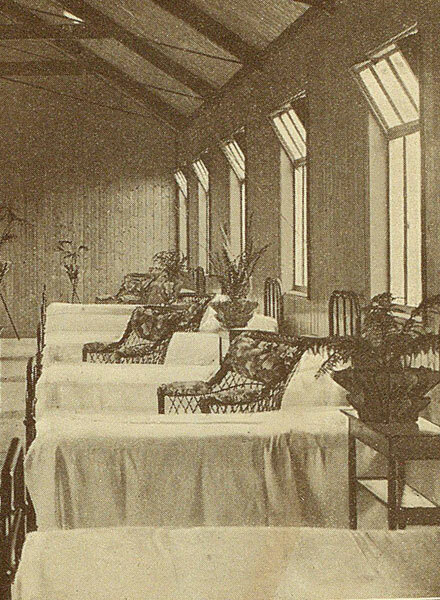 The Tuberculosis Prevention (Ireland) Act gave power to county councils to provide clinics for the treatment of the disease - which was regarded at the time as the deadliest diseases in Ireland. Tuberculosis (TB) is an infectious disease. It thrived in towns and cities, especially among the poor who lived and worked in overcrowded and unsanitary conditions. In the early 1900s an epidemic of the disease led to 13,000 deaths in Ireland. Rates of TB were particularly high in the linen mills of Belfast. The preparation of flax for making linen created a lot of dust (or pouce), workers in the mills were exposed to the dust that irritated and dried their throats and attacked their lungs. The condition known as poucey is now thought to be an early symptom of tuberculosis. Workers involved in the preparation of flax, such as roughers, carders and sorters, had a very short lifespan. 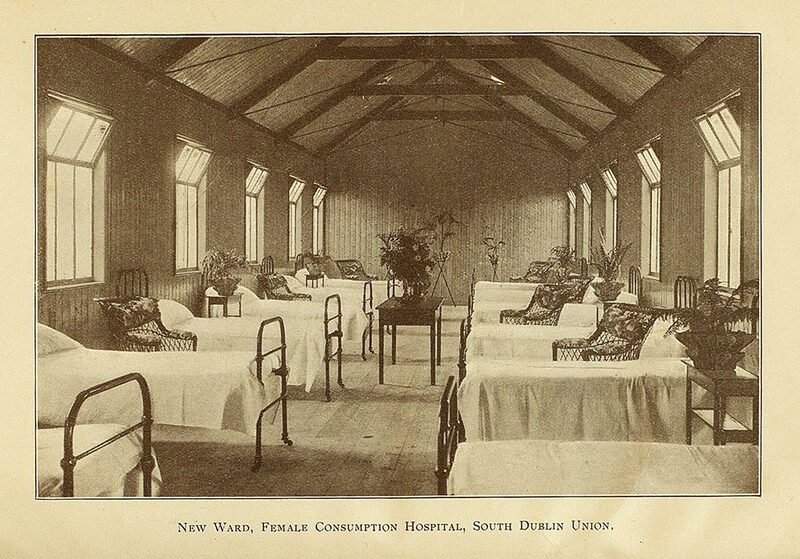 A tuberculosis ward featured in 'Ireland's Crusade Against Tuberculosis'.